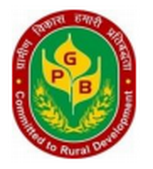 Punjab Gramin Bank has published a Advertisement for below mentioned Posts 2015. Check below for more details. Educational Qualification : Candidates should possess Degree in any discipline. Age Limit : Candidates age should between 18 years to 28 years for Officer Scale-I & Office Asst posts as on 01-06-2014. Age relaxation is applicable as per rules. Selection Process : Selection will be made on the basis of performance in RRBs- CWE-III conducted by IBPS in September/October 2014 and Personal Interview. Merit list of the candidates for final selection based on Total Weighted Scores (TWS) obtained by them in CWE of IBPS and Personal Interview will be prepared in descending order under each SC/ST/OBC/UR category. How to Apply: Candidates are required to apply online through Bank’s website www.pgbho.com.